Research and Publishing Institute of Security and Defence Studies is a part of University of Public and Individual Security “Apeiron” in Krakow, Poland. We mainly publish academic journals and books within the area of broadly understood security sciences (especially concerning security culture), social sciences, law and humanities. 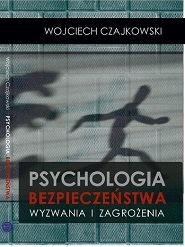 Among the authors that publish in our Institute, there are researchers from Polish as well as foreign units. Their number is constantly increasing, as still new authors contact us to publish (in paper or electronically) monographs, or to submit an article to one of our academic journals: to the English-language “Security Dimensions” or to the multilingual “Kultura Bezpieczeństwa” that publishes in Polish, other CEE and congress languages. However, apart from experienced scholars, we also welcome particularly gifted and academically active students and young researchers. We offer them an opportunity to publish their works in a dedicated students’ journal “Security, Economy and Law”. “Security Dimensions. 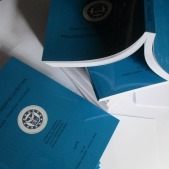 International and National Studies (the preparation of English-speaking versions of issued publications) – task financed under the agreement No. 910/P-DUN/2018, funds for the popularisation of science, covered by the Ministry of Science and Higher Education". “Security Dimensions. International and National Studies (the participation of foreign reviewers in assessing publications) – task financed under the agreement No. 910/P-DUN/2018, funds for the popularisation of science, covered by the Ministry of Science and Higher Education". “Security Dimensions. International and National Studies (digitizing publications and scientific monographs to ensure open access to them through the Internet) – task is financed under the agreement No. 910/P-DUN/2018, funds intended for popularisation of science, covered by the Ministry of Science and Higher Education". “Kultura Bezpieczeństwa. 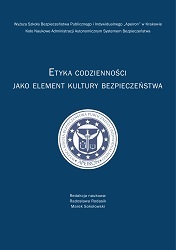 Nauka – Praktyka – Refleksje” (preparation of English versions of publications) – task financed under the agreement No 910/P-DUN/2018, funds for the popularisation of science, covered by the Ministry of Science and Higher Education. “Kultura Bezpieczeństwa. Nauka – Praktyka – Refleksje” (task type in accordance with article 25 paragraph 4a of the Act on digitizing publications and scientific monographs to ensure open access thereto through the Internet) - task financed under the agreement No 817/P-DUN/2017, funds for the popularisation of science, covered by the Ministry of Science and Higher Education. Though we are not really advocates of publish or perish attitude (it somehow does not even resonate well with security culture! ), we know how important it is for the researchers – including those in security sciences – to stay up-to-date by releasing valuable publications. Our Institute exists to help them do it. 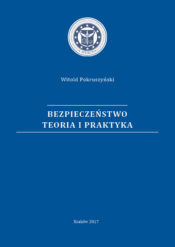 Research and Publishing Institute of Security and Defence Studies at WSBPI „Apeiron” welcomes scholars in security sciences, social sciences, law and humanities to submit articles to the journals „Security Dimensions” (see indexation), „Kultura Bezpieczeństwa” (see indexation) and „Security, Economy and Law” (see indexation), and to propose longer pieces of research to be published as books. Both articles and books are published on condition that they receive a positive assessment in the reviewing procedure. The integrity of the reviewing process is guaranteed by our Editorial Board, and in case of our journals – additionally by the Boards of Reviewers of the respective journals. In all our editorial activities we do our best to implement the best practices laid out by the Committee on Publication Ethics (COPE). The high quality of editing, proofreading, typesetting and final layout is ensured by our publishing team in cooperation with trusted subcontractors. The effects of our work can be seen on our journals’ websites here, here and here – all the three journals are available in Open Access – and in Books section, a part of the books also being available in an unpaid electronic form. instructions for book authors: as every book publication, be it a scholarly monograph, a collection of articles, a proceedings volume or a textbook, is approached in an individual way, please contact us directly via e mail to ask for details concerning processes, deadlines, pricing etc. We invite you to get familiar with the documents on the operation of Research and Publishing Institute for Security and Defence Studies at WSBPI “Apeiron”. In case of any questions – we welcome you to contact us!